This year we are excited to have a great lineup of training workshops 1 day before the conference. This year I am excited to be teaching a 1 day workshop on using TestBox for behavior driven development. This will be a hands-on day leveraging our CBOX-205 curriculum. 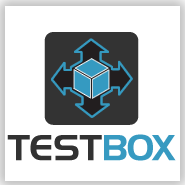 CBOX-205 is one of our core courses that focus on testing principles, TDD (Test Driven Development), BDD (Behavior Driven Development), mocking and automation. In this 1 day course you will be exposed to testing theory, types of tests, working with TestBox, application testing, automation, tools of the trade and finally learn about Mocking and Stub objects. You will have both theory and hands on workshops that will sharpen your skills and challenge you. This course will enhance your application toolbox and development skills.